A successful eLearning experience gives learners the gift of mastery, whether it be skill sets, knowledge, or a specific task. The question is: how do you put your learners to the test in order to determine their proficiency level? In this article, I’ll present 5 different types of summative assessment and I'll reveal 4 tips for using summative assessment in eLearning. Summative assessment in eLearning is used to determine whether or not a learner achieved the learning objectives and reached the desired level of proficiency. Typically, a summative assessment is administered at the end of an eLearning course, and provides learners with a final grade, in contrast to formative assessment, which identify areas that may need improvement and pinpoint their strengths DURING the eLearning course. For example, if a learner passes a summative assessment at the end of an eLearning course, it may earn them a spot in the next eLearning course. In this article, I will highlight 5 different types of summative assessment in eLearning, as well as 4 tips for integrating them into your eLearning strategy. Students must choose from a specific set of answers. No written responses are required, and the answers are typically presented at random. Learners create an online presentation that delves into a particular topic, which they must then share with their peers or in a public forum. The online presentation shows their mastery of the subject, and determines whether they have learned the key concepts and ideas. Creating a website or blog. This is a modern twist on online presentation assessments, wherein learners are asked to create a site or blog that covers all aspects of the topic in question. They must put the information they find using their own words and create a design for the site, which also tests their communication and technology skills. Throughout the eLearning course, learners are asked to place important online assignments and eLearning activities into an online portfolio, which is then assessed at the end of the term by the facilitator of the eLearning course. They can also create an online portfolio comprised entirely of new work that is used to determine their final grade. Learners work with their peers to complete an online group project that showcases their comprehension and skill mastery. For example, they might create a slideshow that highlights the key takeaways from the eLearning course. Make the grading rubric available in advance. Before giving your learners their summative assessments, make sure that they know what it will cover and how it will be graded. Offer them the opportunity to view the grading rubric and criteria in advance and make them aware of how each portion of the assessment will be analyzed. If learners have no clear idea of what they need to do and what knowledge they need to acquire to pass the online exam, then they cannot possibly prepare for the challenge. This also increases their stress levels, which prevents them from performing to the best of their ability. Analyze the results of the summative assessment to identify trends and areas of improvement. The purpose of a summative assessment in eLearning is two-fold. Firstly, it lets learners know where they stand in terms of their academic progress and proficiency. It also allows them to progress to the next eLearning course, as it proves they have acquired a sufficient amount of knowledge to progress to the next level. Secondly, summative assessment results give eLearning professionals the ability to identify trends and weaknesses of the eLearning course, as well as learner areas that may need improvement. For example, if a vast majority of your learners are not able to pass the summative exam at the end of the second module, you may want to modify your eLearning content and instructional strategy to improve knowledge retention and comprehension. Summative assessment in eLearning gives you invaluable data that you can use to improve your eLearning course for the next group of learners, as well as to create an individualized plan of action that can help your current learners. Distinguish between formative and summative assessment. It’s important to know the difference between formative and summative assessment when you’re developing your eLearning assessment strategy, as they serve two completely different purposes. A formative assessment is designed to track learners’ progress along the way and to provide feedback. In addition, during a formative assessment, learners are usually allowed to make revisions to their online assignments or correct mistakes, as the main goal is to modify their learning behaviors. A summative assessment, on the other hand, is final. Learners are not able to make changes to their online assignments and all tests or exams are designed to determine their mastery or proficiency. Essentially, a formative assessment is about the process of creating a finished product, whereas a summative assessment is the finished product, itself. Use a wide range of assessments to cater to different learning styles. Every learner is unique. They each have different learning needs and require different learning materials and eLearning activities to absorb information effectively. This is why it’s essential to offer them a variety of assessment types when creating your eLearning assessment strategy. Some learners may need more interactive assessments, such as scenarios or simulations, to effectively gauge their proficiency, while others may not have the language or communication skills required for an essay-based exam. Do some research beforehand to see which types of assessments are best for your audience and which will most accurately assess their skills and knowledge base. 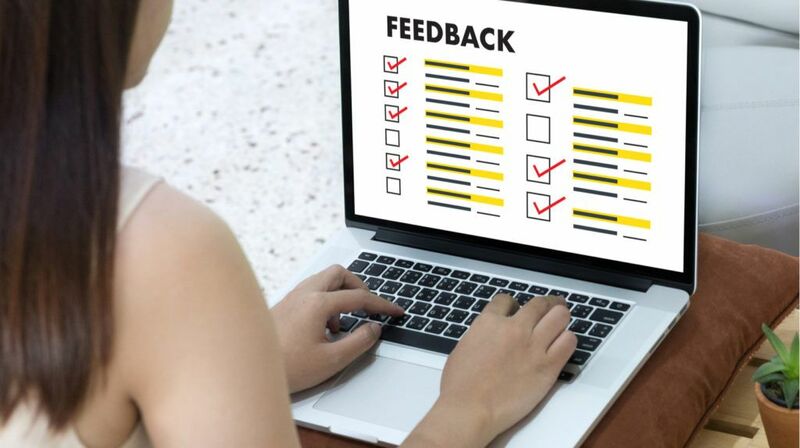 If possible, include a good mix of summative assessment types into your eLearning course to cater to a wide range of learner preferences and styles. Use this summative assessment guide to test the proficiency of your current learners and improve your instructional strategy for those who will follow. Keep in mind that summative assessment does not provide learners with timely feedback they can use to improve their learning behaviors. As such, pairing them with formative assessment is usually the ideal solution. Looking for additional tips on how to create a summative assessment for your next eLearning course? Read the article How To Write Multiple-Choice Questions Based On The Revised Bloom's Taxonomy to learn how to successfully write multiple-choice questions.